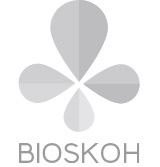 On 2-3 October, the BIOSKOH partners met in Brussels for the project’s second General Assembly. The meeting was held at the premises of PNO Consultants, the project’s exploitation partner. 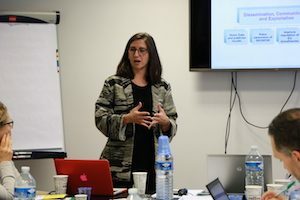 The first day was dedicated to the project overview and management. The different work package leaders presented how their work has been progressing so far and what their next steps and actions are going to be. On the second day, issues such as the start-up and demonstration of the flagship biorefinery, enabling industrial symbiosis on the site and the actions taken to validate and asses the biorefinery’s future cascading uses were extensively discussed, as well as all the communications, dissemination and exploitation efforts made in the project. 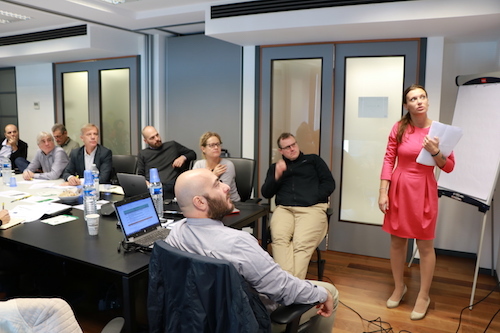 The partners also had the opportunity to meet the project’s ethical expert and discuss issues related to the bigger sustainability and climate change mitigation efforts and how the development of second generation biofuels is addressing them.